The project has already received bipartisan support from 71 Idaho lawmakers. There is a mineral found in Stibnite that may be a strategic asset for the U.S. in its impending trade war with China. Midas Gold will likely be acquired for a healthy premium in the next 18 - 24 months. Midas Gold Corp. (OTCQX:MDRPF) is currently developing the Stibnite Gold Project in central Idaho and has been working with federal, state, and local regulators over the last few years to get the necessary approvals required to begin mining. Gold prospectors flocked to Idaho around 1900 after the Thunder Mountain gold rush and continued mining the site until the end of World War two and the Korean War. The mine was periodically mined by various owners and operators until 1990, after which all mining ceased in the area. The environment was adversely impacted by all the mining and the EPA spent roughly $4 million to clean the area and restore the environment. Restoration and redevelopment efforts began in earnest in 2009. Antimony is a mineral that is used as a fire retardant and metal strengthener. Its applications are used mainly in the defense and energy sectors for batteries, metals, fire suits, etc. During the second world war, nearly all of the U.S.’s antimony came from the Stibnite mine and the mineral played a critical role in America’s war efforts. China controls about 83% of the world’s antimony and if the Stibnite mine is approved, it would be the only domestic source of antimony. Considering Trump’s stance on reducing our trade deficits with China and the importance of antimony in the defense and energy sectors, approving the Stibnite mine would seem likely to be on the top of his cabinet’s agenda. When approved, the Stibnite Gold Mine is projected to create over $1 billion of economic value for Idaho and create nearly 1,000 jobs in the state. Moreover, annual payroll and local/state taxes are estimated to be $43 million and $86 million, respectively. If Trump is going to “Make America Great Again,” he would likely view the Stibnite project as a favorable initiative that could advance his economic agenda. Environmental objectives of the Stibnite project include reprocessing historical tailings, restoring fish passages, repairing historically impacted waterways, remediating areas contributing to water degradation, rehabilitating habitats and natural vegetation and reusing materials that are on the historical mining site. 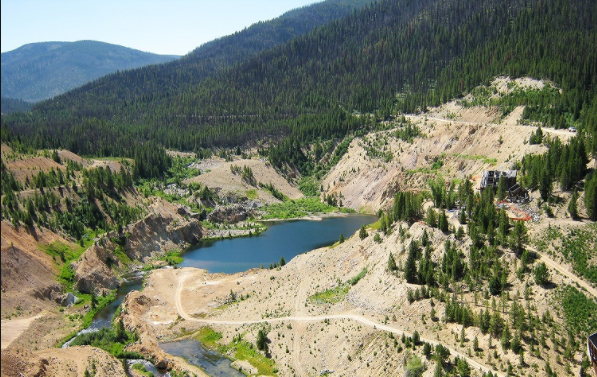 Given that much of the regulatory hurdles of getting the Stibnite mine approved come from the U.S. Forest Service, the positive environmental impact of the mine should entice the U.S. Forest Service to move quickly on the approval process. The U.S. Forest Service is part of the U.S. Department of Agriculture. Sonny Perdue (republican and former governor of Georgia) is the current Secretary of Agriculture. About 75% of federal public land is managed by the department of the interior, with most of the remainder managed by the United States Department of Agriculture's United States Forest Service. Currently the Secretary of the Interior is Ryan Zinke (republican and former U.S. representative from Montana). Scott Pruitt is the current head of the EPA and was appointed by president Trump in February 2017. In a public opinion survey of local Idaho residents (pg.33 of investor slide deck), 74.7% were in favor of the mine while only 20.7% were opposed. In the same survey, 72.7% of respondents said America should lead the way for mining precious metals while only 17.3% said it was ok for America to import critical products and metals (such as antimony) from China. The positive economic and environmental impact of the mine coupled with overwhelming bipartisan support should act as favorable tailwinds for the mine’s development moving forward.